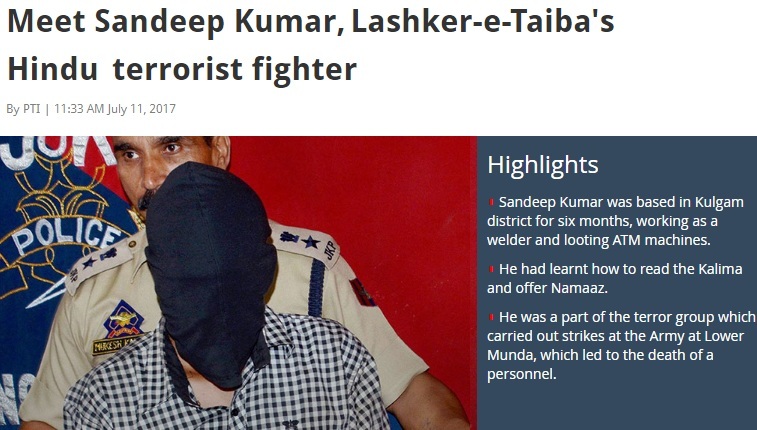 Indscribe's Blog: News and Views about Indian Muslims: Why media is surprised over Lashkar's terrorist Sandeep Sharma? Why media is surprised over Lashkar's terrorist Sandeep Sharma? When the police busted a terror module, they claimed arresting Sandeep Sharma, a Lashkar-e-Toiba terrorist. The news was played up as, 'Lashkar's Hindu terrorist arrested', as if it was something rare. In fact, soon after his name appeared, there were speculations and also immediate follow-up stories that how he fell in love with a girl and took to militancy. There was a sense of bewilderment. It is true that we haven't heard about many Hindu names in Jammu & Kashmir's militancy. 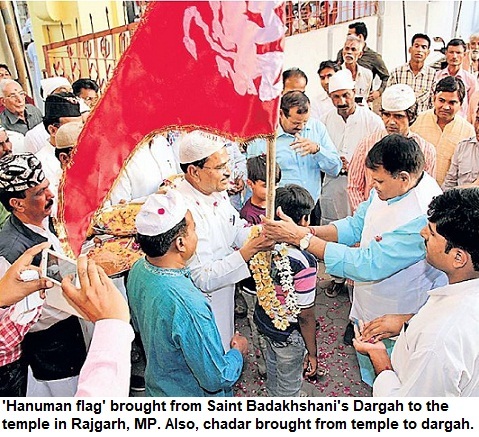 But thousands of Hindus have been involved with terrorist and extremist groups in India. ULFA, which is also banned terror outfit, just like Lashkar, has had thousands of militants in its cadre over the last three decades or so. The group [ULFA] has been solely responsible for the highest number of deaths due to insurgency-militancy in India. There are dozens of such groups in North East. The Maoist terrorism also has nearly 90% Hindu cadre. They have been responsible for terror attacks, have killed ex-ministers, politicians like former Union minister VC Shukla, attacked and blown up buildings and installations for decades. The right-wing terror groups have been involved in dozen-odd attacks ranging from Malegaon to Mecca Masjid attack. Names like Ramchandra Kalsangra, Sandeep Dange, Amit alias Ashish, who have been wanted for over 100 killings in Samjhauta Express and other bombings are still, absconding. Then, from LTTE to Abhinav Bharat and anatan Sanstha, there have been extremist and terror groups with huge Hindu membership. Remember, former RSS' members were not just arrested but convicted and jailed for attack on Ajmer Dargah. As far as Sandeep Sharma is concerned, he is basically from Muzaffarnagar in Uttar Pradesh. He was a welder who took to crime and later became a face of Lashkar-e-Toiba. He was close to Bashir Ahmad Wani.